7.17.15 - Author. Tall guy. Well then, babies, it’s been a minute! How has your summer been? Sprinklers? Ice creams? Swimming holes? Watching blockbusters about extinct species in air conditioned caverns? Whatever you’ve done, I hope it’s been an enjoyable time. ‘How’s your summer, Jeff?’, one or two of you are might be wondering aloud in a crowded internet cafe? Well I’ll tell you – not half bad. I moved to a new part of town. I performed in a fancy museum on the campus of a prestigious university. 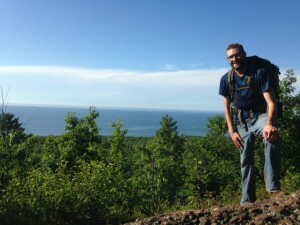 I went camping in the Porcupine Mountains. 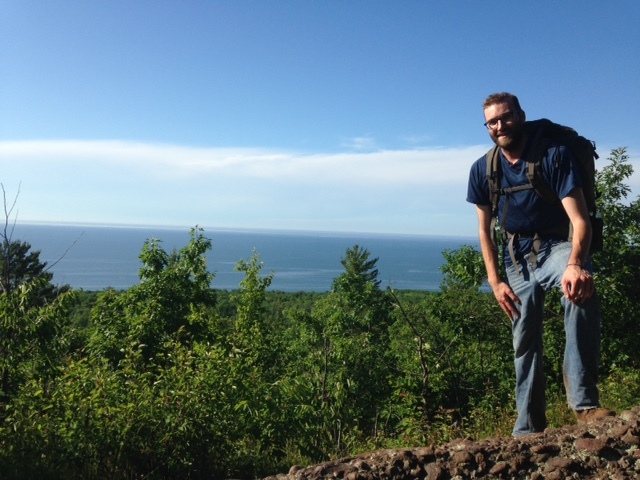 The state park that shares the mountainous namesake is right on the shores of Michigan’s Upper Peninsula. As far as peninsulas go, it’s a pretty beautiful one. We’ve still got plenty of summer left, too, babies. I’m hoping to have a few more adventures to share. Until then!